Sun Peaks Ski Resort | Sun Peaks Ski Resort | Ecosign Mountain Resort Planners Ltd.
Sun Peaks Resort is located on what was formerly known as the Mount Tod Ski Area in the McGillivray Creek Valley, approximately 360 km north of Vancouver, British Columbia. 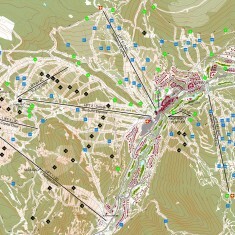 In April 1992, Tod Mountain was purchased by Nippon Cable Co. Ltd., of Tokyo, Japan transforming the ski area (renamed Sun Peaks Resort) into a modern, four-season mountain community. 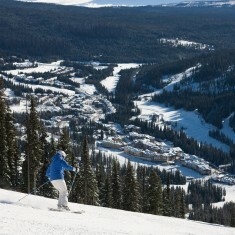 Further developments at Sun Peaks have involved the construction of new lifts and terrain on three local mountains, in addition to a new recreation centre, a daylodge, a golf course and over 1,600 new dwelling units distributed amongst eight hotels, fifteen townhouse developments and 250 single family homes. 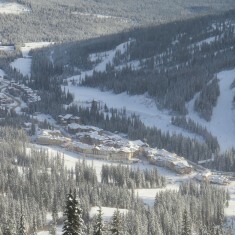 The Delta Sun Peaks Resort and Conference Centre also opened in October 2002, offering hotel and conference/banquet facilities. To date, total investment in the Sun Peaks Resort has exceeded CDN $400 million in the past 20 years, a very significant figure for the total building activity in the Thompson-Nicola Valley Regional District. The mountain resort continues to expand and now boasts a seasonal population of 500 residents and over 6,000 tourist beds. Skier visits at Sun Peaks have increased from 69,000 in 1992/93 to a 362,000 in 2015/16.